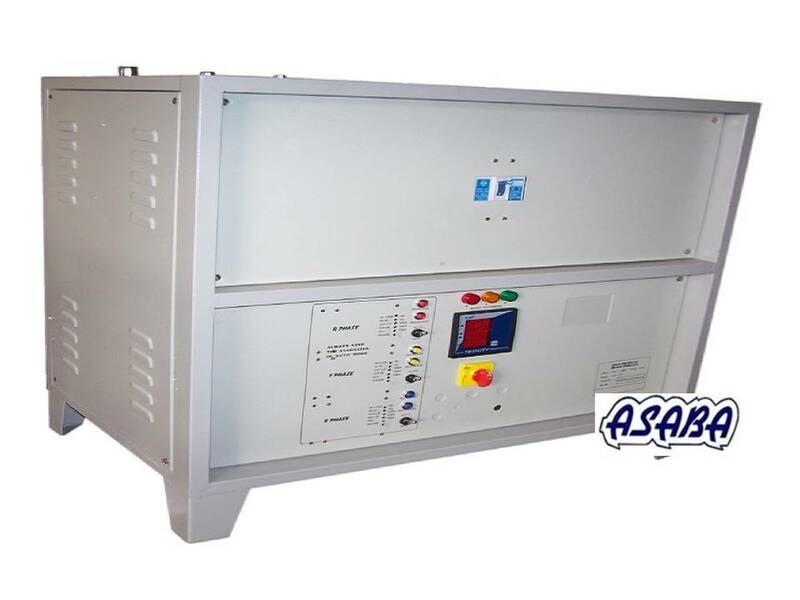 Updates | Asaba Electronics Corporation in Vadodara,We are a prominent manufacturer and supplier of control panel, servo stabilizer and isolation transformers. These electronic products are known for features such as optimum performance, longer functional life and shock-proof exterior. Servo Voltage Stabilizer. 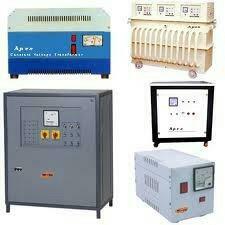 Asaba Electronics Corporation is a Leading Manufacturer of Servo Voltage Stabilizer in Anand, Gujarat, India. 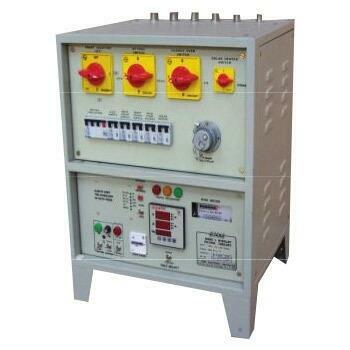 Leading Supplier of Servo Voltage Stabilizer in Bhavnagar, Gujarat, india. also Supply in Jamnagar, gujarat, india. Industrial Stabilizer. 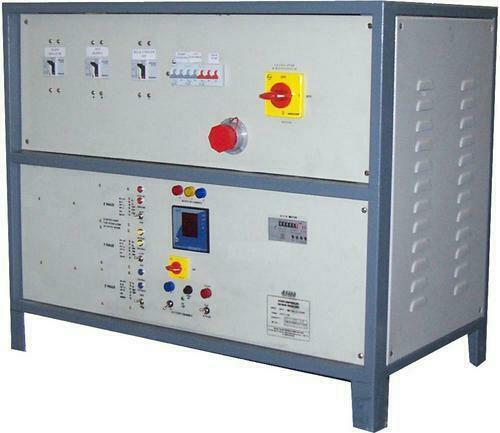 Asaba Electronics Corporation is a reputed Manufacturer of Industrial Stabilizer in Anand, Gujarat, India. Leading Supplier of Industrial Stabilizer in Surat, vapi, Gujarat, India. 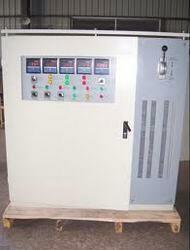 Oil Cooled Servo Control Voltage Stabilizers. SABA Electronics corporation is one of the leading manufacturer of servo controlled voltage stabilizers for more than 32 years in Anand, Gujarat, India. 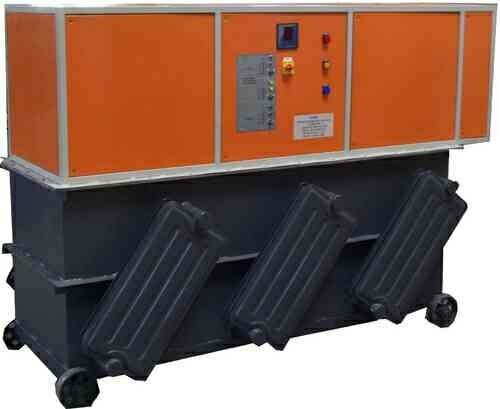 This equipment is used to obtain a steady three phase AC supply within very close tolerances to a fluctuating mains. This equipment finds application in Dairy industry, Chemical and process Industry, Research Establishment etc. We have over 50, 000 installations in just last 7 years and become one of the preferred suppliers to dairy Industries, gear manufacturing industries. We supply to Rajkot, Surat, Gujarat, India. Three Phase Servo Voltage Stabilizers. Offered at market leading prices, Three Phase Servo Voltage Stabilizers offered by us have an operating voltage ranging from 350 to 500 volt. These stabilizers are provided with VIF indicators that provide information on voltage, current and frequency of the phase in the single phase version. Further, energy meters present in these products will indicate the amount of power used while operating the equipment on DG set. Manufacturing in Anand and Supply to Surat, Rajkot, Gujarat, India.